I picked up Collection Work The Colour Eyebrow Kit on my recent trip to Superdrug and I have been using it everyday since. 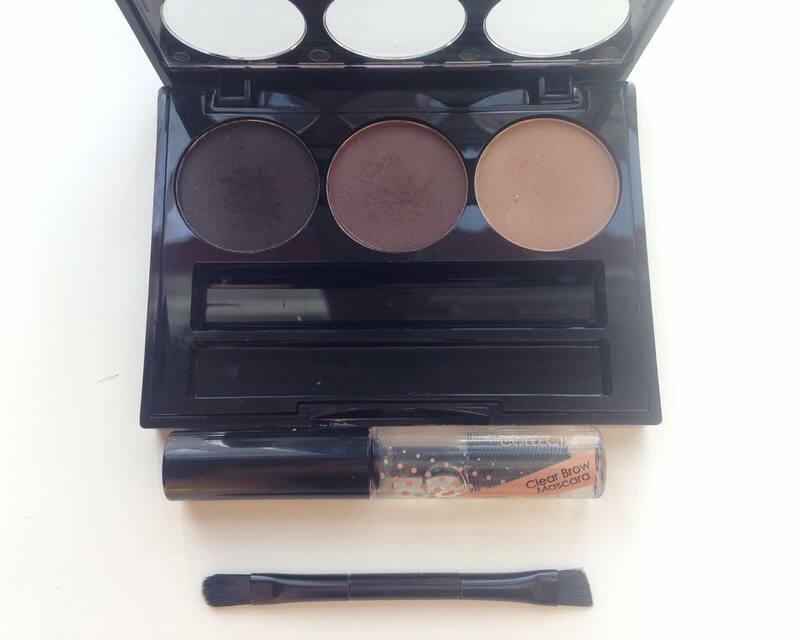 I love that the kit includes 3 shades,A brow mascara and a double sided eyebrow brush and it also has a mirror! The 3 shades in the kit are a Light brown (preferably for blonde's), A dark brown (for brunettes) and a darker brown/black (for darker brunettes). 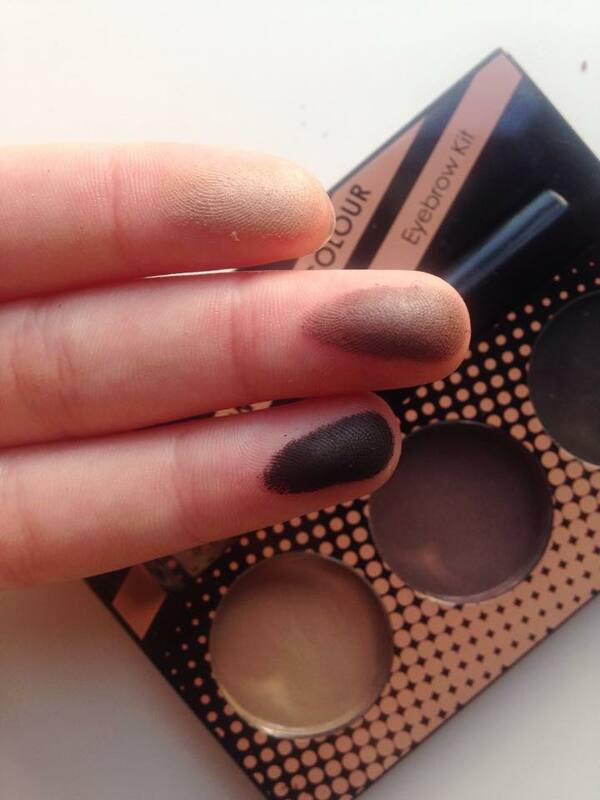 I use the dark brown in the middle of my brow and the darker brown on the tail of my brow. I don't use the lighter shade much but I do use it as an Eye-shadow and it could be used as a highlighter depending on your skin tone. I've never used a brow mascara or anything to set my brows so using this was a new experience for me and I wish I used one sooner. I love how the brush is small so you can groom your brows and I found it kept my brows in place all day and it didn't make my eyebrow go crispy which is a big bonus! The double sided brush you get with the brow kit is a very decent brush to get with a palette. I never normally use the brushes I get with palettes but I did use this one more than once and it was perfect although I'm so use to doing my eyebrows with a long handled eyebrow brush but I kept dropping the brush and I couldn't get use to holding it (at least I tried). Overall this Brow Kit is one of my favourites and I will be using it for a very long time and for the price it's an absolute BARGAIN. 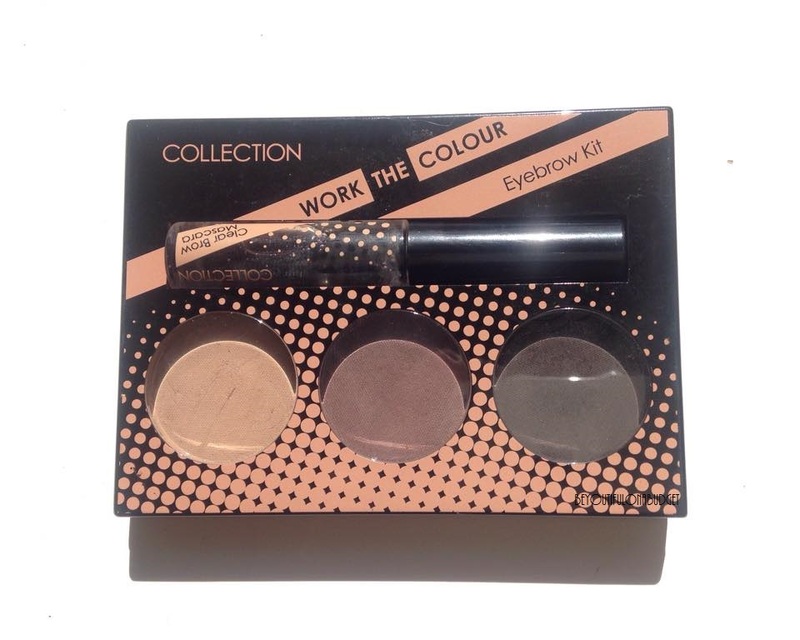 Have you tried Collection Work The Colour Eyebrow Kit, What are you thoughts?